Are you thinking about a new intranet or continuously developing your current one? If so, dedicating some time to intranet planning is essential. To support you, we have created a bank of free training material, including a guide to managing your intranet project. If you have been given the responsibility of delivering a new intranet, you need to make sure you have the team you need to make this happen. If a dedicated resource is not possible, then gaining internal support and assigning intranet roles is essential. You will need someone with overall responsibility for the intranet as well as intranet contributors and editors. Your intranet team needs to be able to focus on achieving the results but also able to enthuse and influence other stakeholders. Your intranet is only as good as its ability to meet end user's requirements. When intranet planning, allow sufficient time to understand how the intranet fits in with overarching business objectives. To aid in this process you should consider conducting stakeholder interviews to find out the needs of all employees from all areas of your business. Ensuring your intranet software solution is going to deliver everything you need now (and might need in the future) is time well spent. This is a great opportunity to seek some expert advice about all of your options. Make time to review all of your existing intranet content and devise a checklist with which to evaluate this content against. Possible points to include might be: last time content was accessed; is the content duplicated anywhere else; is it still relevant? Review the most popular pages and understand why they are the most viewed. Working through all of your user requirement feedback and combining this with business processes takes time. It’s also important to plan ahead for potential changes in user and business needs. Your specification should be thorough and flexible. The actual intranet build will be much easier if you have taken time to undertake everything highlighted above. 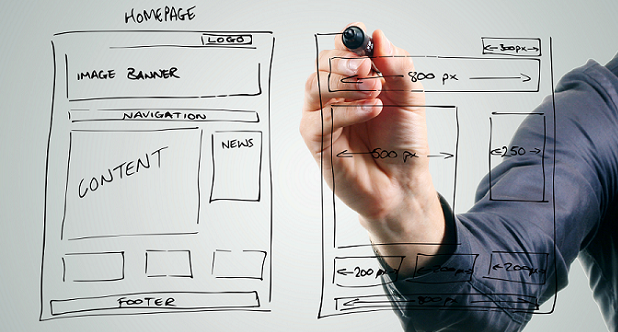 Creating a winning page design, page layout and content hierarchy for your business is essential. Designing the best build for you will come from an interpretation of everything you have discovered before this stage. Intranet governance is something that needs to be outlined. How you manage your intranet in terms of content management, development and usage will determine its future success. The aim here is to produce an intranet governance policy that can be implemented and managed on an ongoing basis. Even from the offset it is worth thinking about your intranet launch strategy. You don’t need to plan this in detail at this stage but just think about potential dates and how you might like to promote the new intranet. It’s never too early to start thinking about what will happen after your intranet has launched. When intranet planning, build in the ability for continual development and feedback. This enables you to have some degree of future proofing and keeps the project on the radar. Launching a new intranet is a great achievement and delivering one that meets end user requirements, solves historical pain points and facilitates new ways of working is amazing. However, for your intranet to be successful, employee engagement must be maintained. Encouraging collaboration through the intranet and highlighting the benefits to users is key. These tips just offer a brief summary of things to conisder when planning a new intranet. To find out more book your place at one of our intranet Showcases and peruse our downloadable guides.